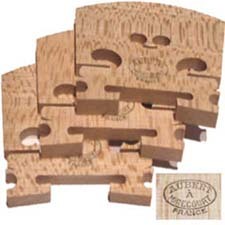 Great quality Aubert treated unfitted Violin bridges in a pack of Three. Full size only (product may differ slightly from the one pictured here). 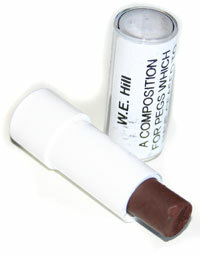 Hill's peg paste for the difficult pegs that have stopped turning. For violins and bows. The only polish I can recommend that will do no damage to your violin varnish. 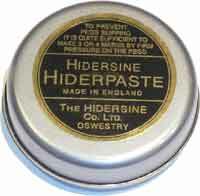 Hiderpaste peg grip. Stops slipping pegs. New handmade product designed and made by myself. 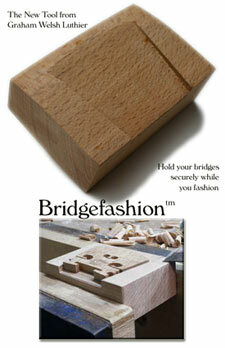 Holds your bridge while you shape with the chisel. 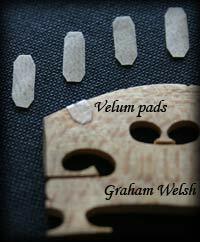 Specially designed with professional and amateur Luthiers in mind. 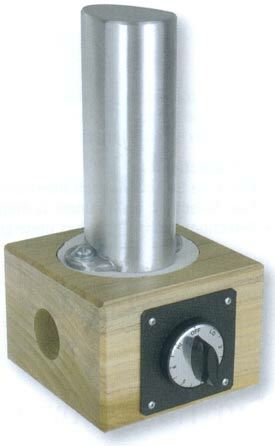 Traditional VIOLIN soundpost setter for fitting soundposts and adjusting into position. Great tool when you learn how to use it. Old flat knife for removing belly and back plates of instruments. 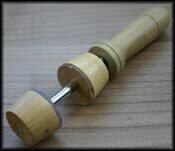 Professional Bridge or Bow stamp made from special alloy with decorative wood handle. Top class engineering. Stamp your own name on your bridges or bows(up to ten characters this price). Please email me your name in advance of your order. 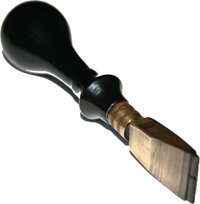 Must have tool for tightening or loosening any size of violin or viola chinrest. Please email me if you require more then 2 pieces of this item. Postage can be calculated for multiple purchase of this item. 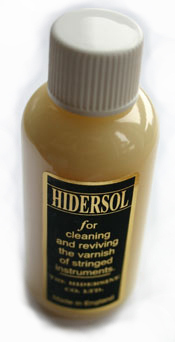 for cleaning and reviving the varnish of stringed instruments.